The PCs need to pay taxes to someone, and most of the time, that's a baron. 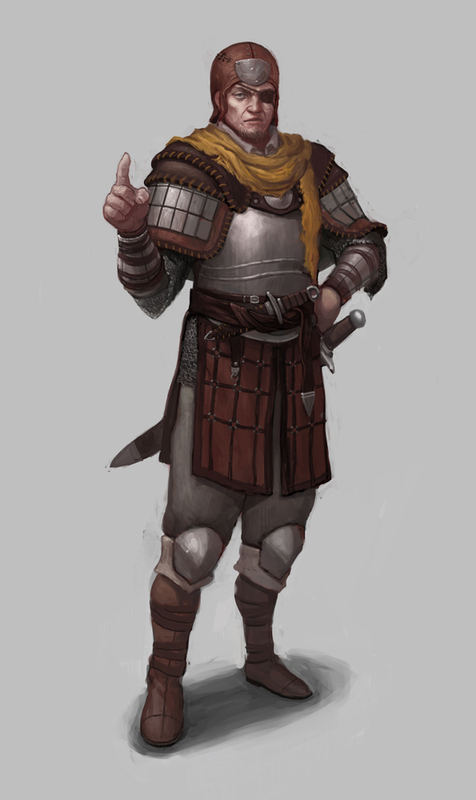 Local warlords given legitimacy and power, barons form the lower part of the upper Third Estate. They are supported by scores of local knights, landowners, and other members of the Third Estate, while facing constant pressure from their Count, Duke, or the Monarch directly. Barons have last names based on their barony's name. They are rarely referred to by their first names. This table is designed for a society of male landowners and their male heirs. Adjust as needed for your setting. Roll as many times as you need to on each table, ignoring or adapting incompatible results. 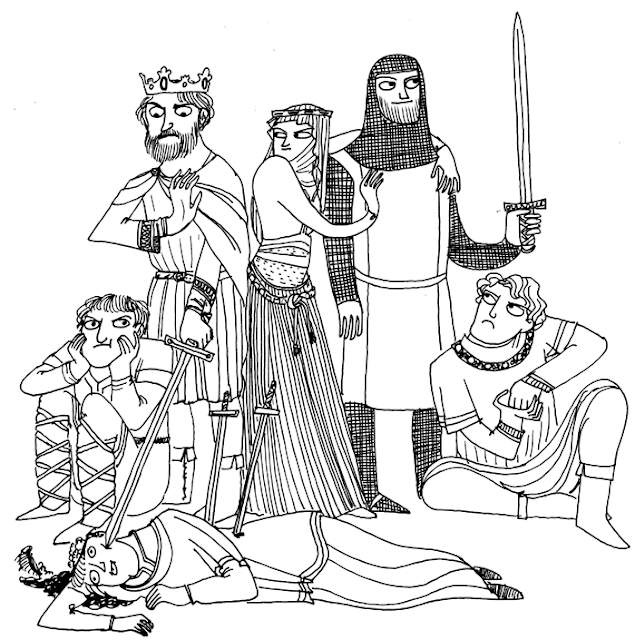 Plantagenet Family Portrait, Hark, a Vagrant. 16 heir, infant, fragile. 1d4 years old. 17 heir, sickly. 1d10 years old. 18 heir, comically stocky. 1d10 years old. 19 heir, sly. 1d10+5 years old. 20 heir, lazy and languid. 1d10+5 years old. 21 heir, idiotic but loved. 1d10+10 years old. 22 heir, uncertain and doubtful. 1d10+10 years old. 23 heir, depraved. 1d10+15 years old. 24 heir, stoic and sensible. 1d10+15 years old. 25 heir, rebellious and covetous. 1d10+15 years old. 31 heir, infant, 1d4 years old, plus 1d4 other infant children. 32 heir, infant, 1d4 years old, plus 1d4 older female children. 33 heir, infant, 1d4 years old, plus 1d4 older male illegitimate children. 34 heir, infant, 1d4 years old, 2d10 scattered illegitimate children. 35 heir, infant, 1d4 years old, plus 1 much older male illegitimate child. 36 1 female child, studious, 1d10+5 years old. 37 1 female child, spoiled, 1d10+5 years old. 38 1 female child, bored, 1d10+5 years old. 39 1 female child, cruel and malicious, 1d10+10 years old. 40 1 female child, needs to marry, 1d10+15 years old. 41 1d4+1 female children, feuding. 42 1d4+1 female children, painfully religious. 43 1 illegitimate child, raised in the household. 44 1 illegitimate child, nearby but not loved, striking resemblance. 45 1 illegitimate child, scheming furiously, will recruit PCs. 49 2d10+2 squabbling children of all ages and legitimacies. Madness. 50 3d10+2 squabbling children of all ages and legitimacies. Utter disaster. EDIT: Also, this table is very good. My favourite: Claude, half-asleep and oddly effeminate, many glass windows, servants clearly chosen for their looks, not competence, and 32 squabbling children of all ages and legitimacies. I may make my next PCs the middle children.